ICAP Patent Brokerage announces for sale patents disclosing a method of dynamically creating real-time presentations based on Internet search engine results, available from inventor Laurent F. Sidon. 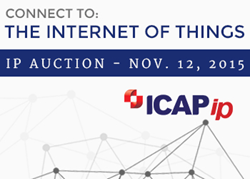 This portfolio is offered as part of the Internet of Things IP Auction, with a bidding deadline of November 12th, 2015. This technology seamlessly bridges the gap between search and presentation, creating a rich multimedia presentation based on simple queries. “This technology seamlessly bridges the gap between search and presentation, creating a rich multimedia presentation based on simple queries,” said Dean Becker, CEO of ICAP Patent Brokerage. This portfolio discloses a method of dynamically creating a multimedia presentation responsive to search results. A user transmits a standard search query to one or more search engines (e.g. Google, Bing, etc). The information retrieved may include one or more image URLs, thumbnail URLs, source page URLs, web domain URLs, textual information, tags, metadata, and/or abstracts. Based on the results, the system creates a structured document including mark-up tags, and renders, in real-time, the structured document as a slide show presentation of images by a multimedia presentation module residing in a client device. The structured document may be any document using mark-up tags, for example, HTML, XML, SGML, etc. Multiple users may revise and re-publish the presentation. This is a valuable portfolio for software and search-related companies. See the technical description of the search-based presentation IP sales offering.